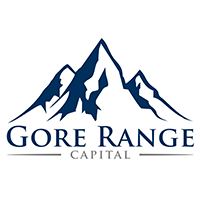 Gore Range Capital, a New York-based venture capital firm focused on healthcare, closed its first fund to further external capital. Led by Ethan Rigel, CEO, Humberto Antunes, Frank DeBernardis, John Friedman, and Ting-Pau Oei, Gore Range Capital is a venture capital firm focused on investing in early and growth-stage healthcare businesses. It invests in skin health, cancer, cardiovascular, and technology innovation, based on the partners’ extensive experience and networks in these areas. The firm offers capital, as well as operational, clinical and scientific expertise that leverages deep industry relationships and a renowned scientific advisory board. Gore Range has made 13 investments with two successful exits and one IPO thus far. Investments include BioXcel Therapeutics (Nasdaq: BTAI), CoreMedica Labs and Or-Genix Therapeutics. Additional pre-fund investments include Castle Biosciences and Conversa Health.